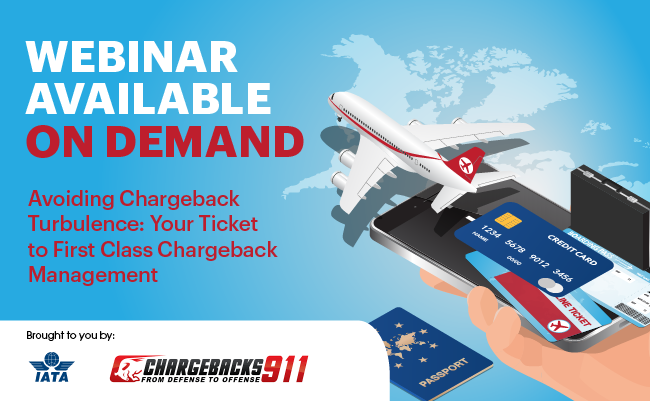 Avoiding Chargeback Turbulence: Your Ticket to First Class Chargeback Management | Airlines. Make chargebacks a thing of the past. Sign up to attend this special webinar, and claim your ticket to a chargeback-free future. Discover the impacts of new regulations such as MCM, VCR, GDPR, PSD2, on the industry and the effects on your business. Receive insider tips that are proven effective for addressing the misaligned incentives and complex layers among industry members. Learn practical risk mitigation strategies that have been customised exclusively for the travel industry.